So, today was one such day when I thought I would die from over-eating. Well it seems like I didn't, afterall, but I definitely would have. Rather should have, from the shame of overeating, if not from the overeating itself! I am that kind of a person who takes the famous quote by George B. Shaw- "there is no sincerer love than the love of food"- quite seriously. In one word, I am a food-fanatic and proudly so. I live to eat and can die for it too. This undying love for food probably comes from 1) growing up in a typical 'Bengali' household, where the second most-often used remark by elders is "ishh ki roga hoye gechhis, nischoi thik mato khawa dawa korchis na" (how thin you have become, definitely not eating properly! ), even when one is visibly over-weight (the first being "o maa kato baro hoye gechis!" which means "how much you have grown since the last time I saw you") 2) growing up in a family where 'eating' has always been considered synonymous to 'living' and 3) having a mother who, apart from being the most amazing cook, believes in investing deep thought and taking immense pains to feed us well (and how!). So while gorging on endless amounts of food, I have always shamelessly blamed my Bengali upbringing for those extra fat on the body. 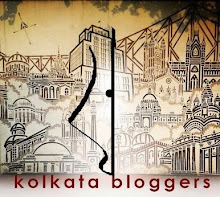 In Calcutta, the love extended mostly to those typical Bengali foods that 'straddled a million tastes, used a million ingredients and engulfed all the five senses'. The palate also often consisted of North-Indian dishes, Continental and Chinese delicacies and American fast-food. In Germany, however, it's the wide range of desserts that makes my heart skip a beat, literally. Perhaps this again goes back to the Bengali upbringing where a meal is never complete without a mishti and/or mishti doi, where rasogolla comes a close second to fish and where sweet-shops are super-crowded at all times. Although in Germany one can hardly find these (except in those Arabic or Indian stores), the country makes up for it by providing mouth-watering desserts and chocolates. But, for someone who fails to draw a line between indulgence and sinful over-indulgence, this often becomes a cause for concern! And that's exactly what this post had to do with! So, cutting a long story short, today I wanted to give a break to my veggies-for-dinner routine and therefore decided to order some nice food from outside. Being the health-freak (the annoying health-freak at times) that I have turned myself into who always counts calories for every food she eats, the choice was between a Pizza/Lasagne without dessert and Greek Salad with dessert (since Pizza AND dessert would mean more calories). It was a tough call, but in the end I decided to go for the Salad which automatically meant that I could treat myself with a dessert. So I ordered a large Salad and, well, Tiramisu. Tiramisu is one dessert which I love to death, and which often makes me want to marry an Italian. Then again, I love German cakes, French crêpes and Swiss chocolates, and practicing polygamy might not be such a great idea afterall! Nevertheless, when the order arrived and I checked the delivery, I figured that somehow they have given two cups of Tiramisu instead of one. 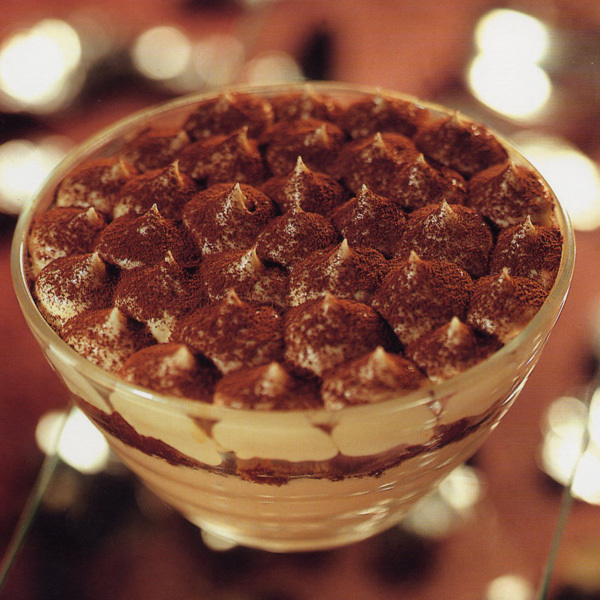 Now, I am not sure how this happened, because they would not have possibly figured that I absolutely love Tiramisu. So either it was a mistake, or it was a special couple-offer (!!!) or something. Anyways, since the delivery guy had already left (and even if he hadn't, I would definitely not have returned the other one), I decided to keep the second one for tomorrow and finish off the rest. I was completely full by the time I finished the Salad, but since my eyes were hooked onto the Tiramisu, I decided to finish it off too. A moment later I was done, and I felt that my soul was finally at peace although my stomach was almost aching from eating so much. I decided to watch a few videos and read something, but somehow my mind kept wandering to the other cup of Tiramisu in the refrigerator. I tried to distract myself by watching a movie, by calling up friends; but somehow that goddamn Tiramisu was too strong to resist. Moments later I went up to the refrigerator, took out the cup, and finished it off in one breath. And then, I felt like bursting. How i wanted to kill myself for not being able to control my pangs, for not being able to resist food, and for not caring about my 'diet'. I sulked for about an hour, decided to spend an extra hour at the gym the next day and promised myself not to have dessert for the next three weeks. But having said that, the satisfaction it gave me was undoubtedly, unparalleled!